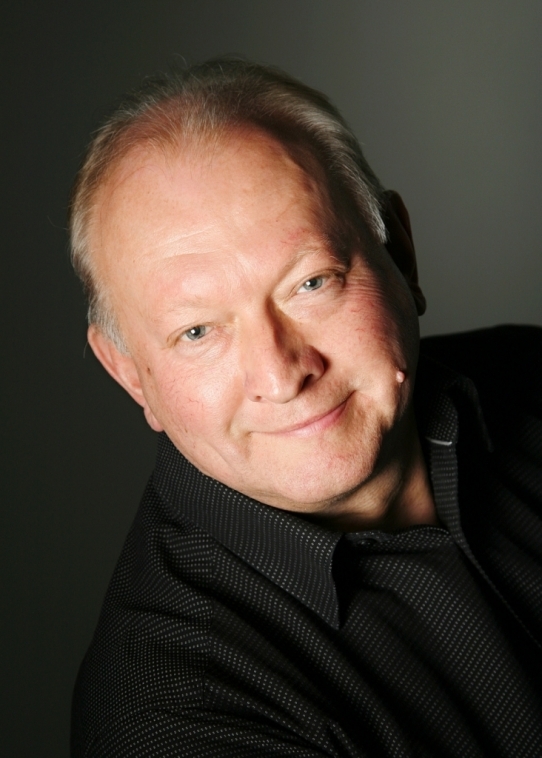 Born in High Wycombe,Dez Kay's love of music took him into the world of disco's where he worked as a professional DJ for a number of years in the local pubs and night clubs.He regularly presented programmes for Wycombe Radio in the 70's and early 80's and moved to Aylesbury in 1982. He then joined Stoke Mandeville Hospital Radio and has recently celebrated 30 years with the station and presents his regular weekly show "Special K" as well as one off specials often with celebrities being interviewed.The show includes great music,interviews and humourous stories from around the world.He is also very involved with the station's outside broadcast unit which provides Disco's and various other fundraising activities with the money raised helping to keep the station on air as Stoke Mandeville Hospital Radio is a registered charity and manned entirely by volunteers. 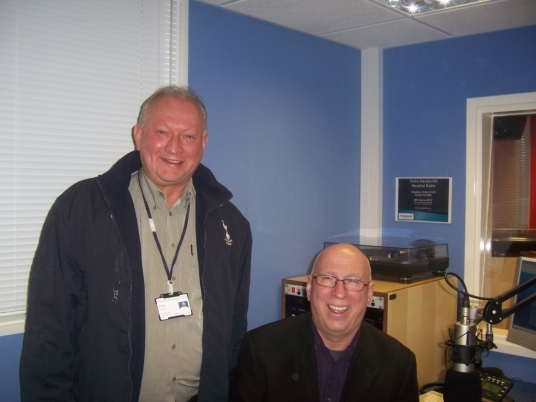 Dez Kay pictured above with BBC Radio 2's Ken Bruce who is Patron of Stoke Mandeville Hospital Radio. 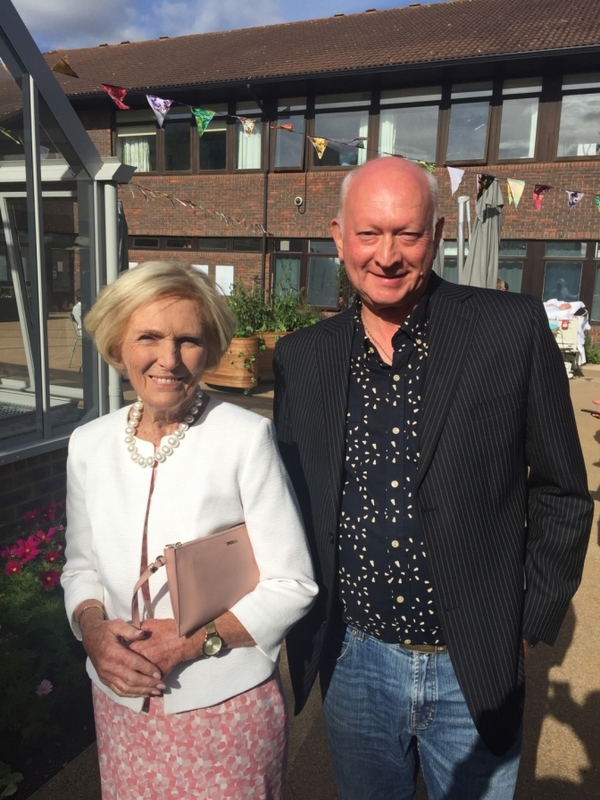 Dez has helped to raise thousands of pounds during his time with the station. In 2003 he won the Aylesbury Town Mayor's Award for Services to the Community. As well as the studio work including voice overs,Adverts,Promos and Video's Dez has hosted and compered many events around the Vale such as The End of the World Music Festival,Stoke Mandeville's Party in the Park, The Mayor's Songs for Christmas Concert,The Recycled Clothes Show,Aylesbury on Sea where he has appeared with Samia Smith from Coronation Street and Chris Fountain from Hollyoaks and Dancing on Ice and in 2009 he hosted the same event with John Challis and Sue Holderness aka "Boycie and Marlene" from Only Fools and Horses and in this same year he presented Carol Fest a very popular Town Centre Event in his hometown,which he has regularly presented ever since. 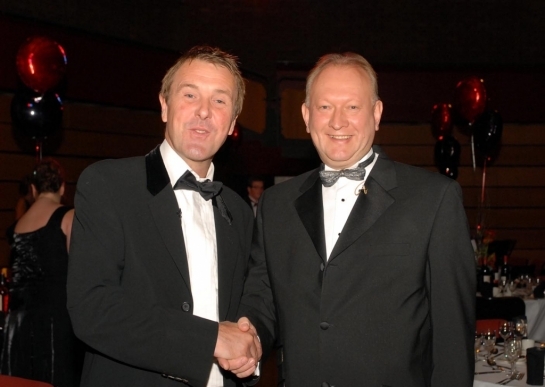 Dez has also been the MC of The Aylesbury Business Excellence Awards for over six years presenting this Annual prestigious event with the likes of Roger Black the Olympic Athlete,Steve Davis from the world of Snooker,Bobby Davro,Steve Nallon Cannon and Ball, all from the Entertainment spotlight and more recently Phil Tufnell "The Cat" ex England cricketer. Dez has also hosted the Hemel Hempstead Business Excellence Awards with the Comedian Tom O'Connor and worked with the late Comedian Mike Reid. Between 2002 and 2010, Dez has been on tour in Theatres across the UK as Host and Compere with the hit show Elvis An American Trilogy. 2010 saw Dez picked as the host for the very first Military Tattoo in Aylesbury Town Centre as well as the first ever AVDC Star Awards held at The Civic Centre. He will also take to the stage at the new Aylesbury Waterside Theatre in June 2011 to host the AVDC Star Awards once again. Dez is also the voice for the show "Explosive Unsigned" which airs on Showcase TV on Sky 201 & Freesat 403 and the voice for the new video for Franchise Detective. Please take a listen via the link below. In 2012 Dez filmed for Hong Kongs top soap opera "Triumph in the Skies" Series 2 whilst the unit were filming in the UK,which will be shown in late 2013. He has also just appeared in a short film "Generation of Vipers"which starred Jessica Hynes which should be completed in August 2013. June 2013 he co hosted the Mad about Waddeson Festival appearing on both the Main Stage and the Bandstage Stage. 2013 saw Dez Compere the hugely popular Hobble On The Cobbles with Headliners The Searchers,and in 2014 he returned with Headline Act. Toploader. 2013 - 2018 Milton Keynes Parks & Trusts have continually picked Dez to Compere their growing Family Event Picnic in the Park. From an early age he was spellbound by the magic of the stage and the atmosphere that performances can create and he loves the theatre and in particular musicals, and only wishes that he could sing. Dez comments, I guess that's why i'm a presenter !!! If you would like to book Dez to host your event then please complete your details using the form on the Contact page.